Today, I have found yet another case of plagiarism from India, about some people who have again plagiarized my papers. Since I do not have a lot of time, I will write briefly about this case. The plagiarist are Sudhir Mohod and Sharda Khode from the Bapurao Deshmukh College of Engineering (BDCE), Sevagram in Nagpur, India (http://www.bdce.edu.in/ ). The paper has plagiarized the paper by Tseng et al. 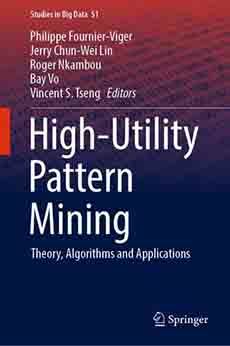 published in TKDE (2016), which I am a co-author of ( http://www.philippe-fournier-viger.com/TKDE_TKO.pdf ), which has proposed the TKO and TKU algorithms. Who are Sudhir Mohod and Sharda Khode? 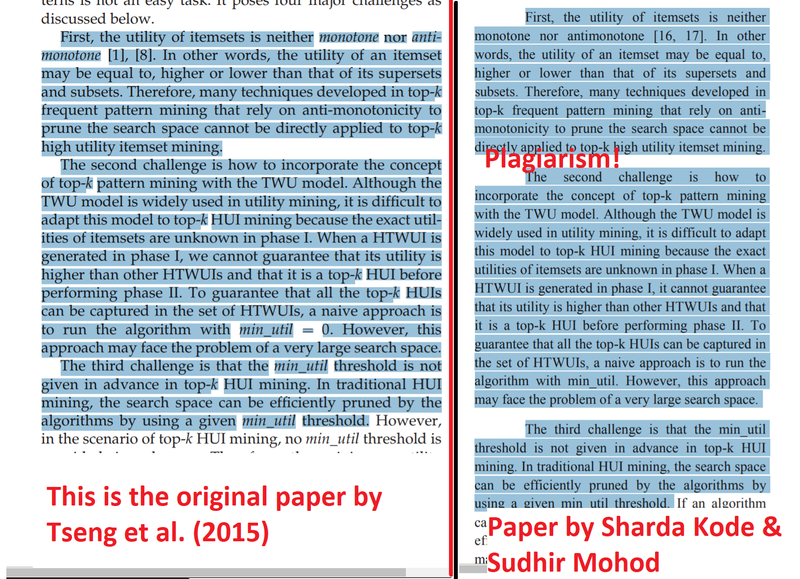 I will of course report this case of plagiarism to that institution where Sudhir Mohod and Sharda Khode work, and also to the IEEE using their Copyright Infringment Form (http://ieeexplore.ieee.org/xpl/copyrightInfringement.jsp ) so that the paper is retracted. Hopefully, the Bapurao Deshmukh College of Engineering (BDCE) will also take appropriate action to punish the authors of this plagiarized paper. Today, someone from the IEEE Intellectual Property Rights Office answered me to acknowledge that they received my complaint, and ask for a copy of my paper. They say that they will send the documents to a committee that will compare papers and take an appropriate action afterwards. I hope that this process will be completed quickly so that the paper by Sudhir Mohod and Sharda Khode is retracted, as it should. Plagiarism is sometimes difficult to recognize. But in this case, they are so disgusting!